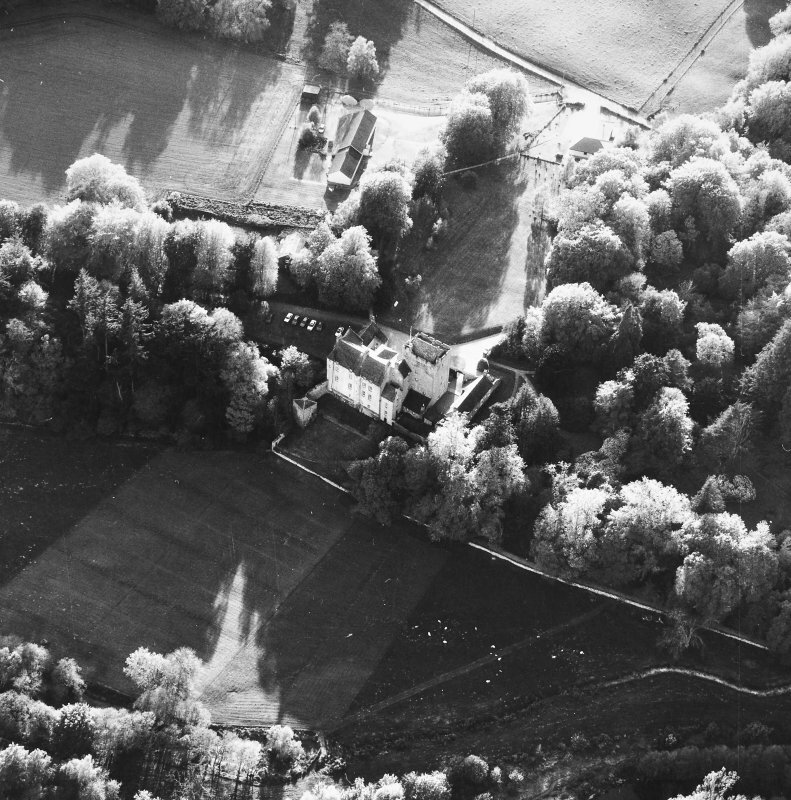 Oblique aerial view of Kilravock Castle and dovecot, taken from the SE. 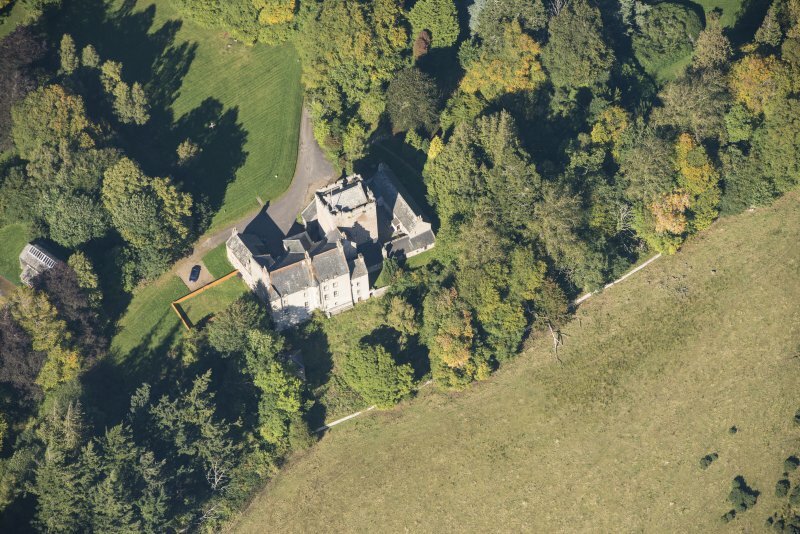 Oblique aerial view of Kilravock Castle, looking WNW. 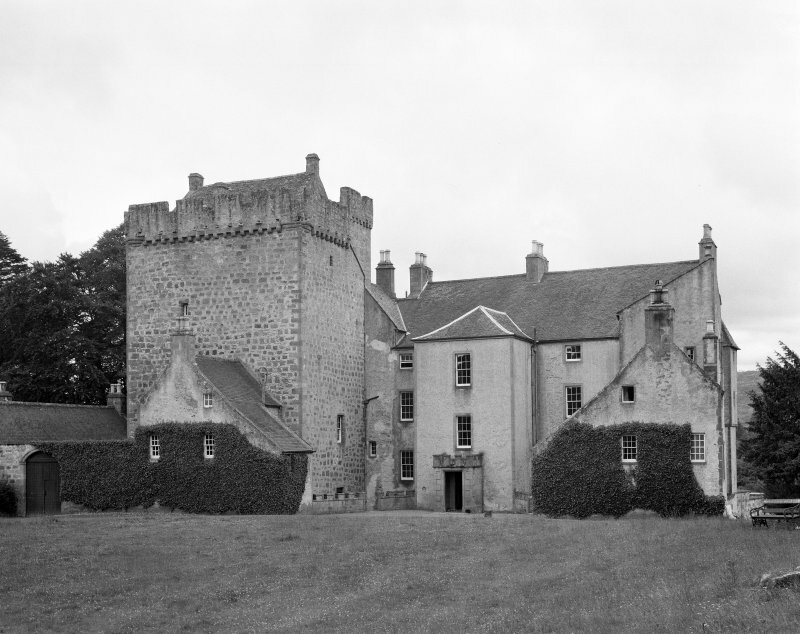 Kilravock Castle. General view from SSW. 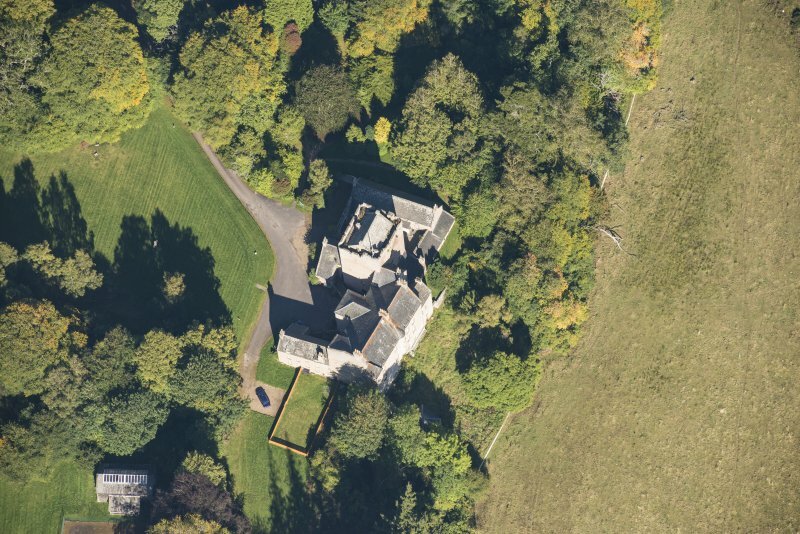 Oblique aerial view of Kilravock Castle and dovecot, taken from the W.
Oblique aerial view of Kilravock Castle, looking SSE. 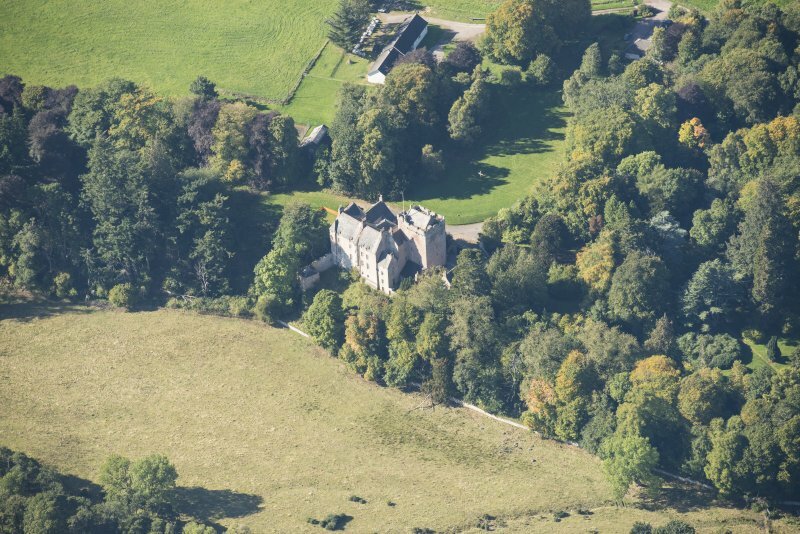 Kilravock Castle. 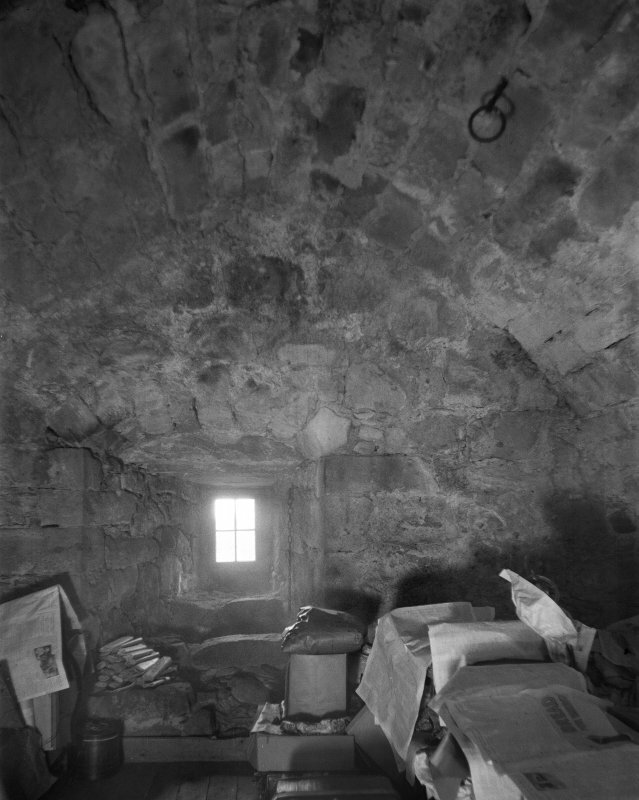 Vault under roof - room in tower. Kilravock Castle. SE corner of hall, in tower. 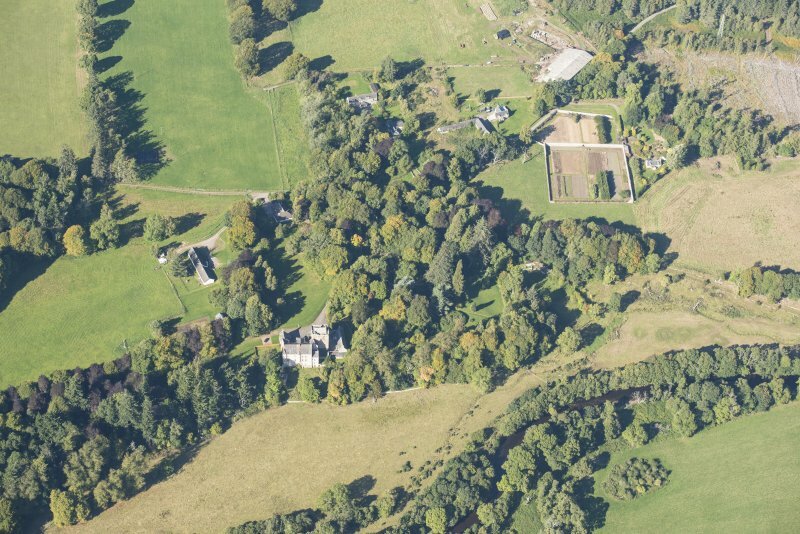 General oblique aerial view of Kilravock Castle and grounds, looking to the SSE. 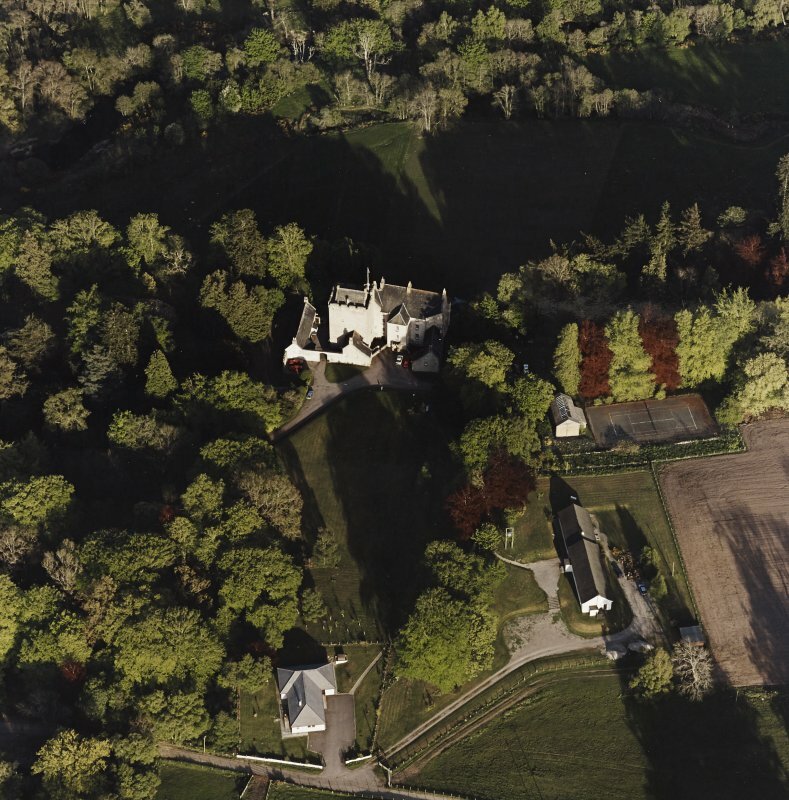 Oblique aerial view of Kilravock Castle, looking NNW. 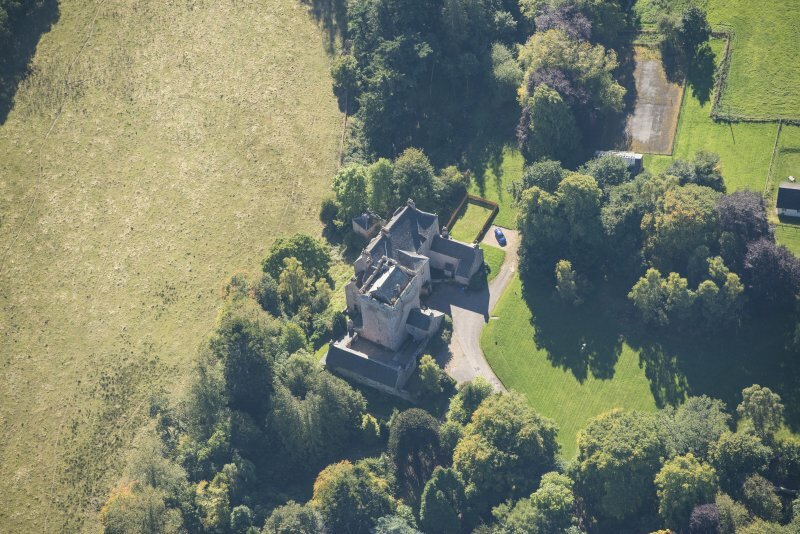 Oblique aerial view of Kilravock Castle and dovecot, taken from the NW. 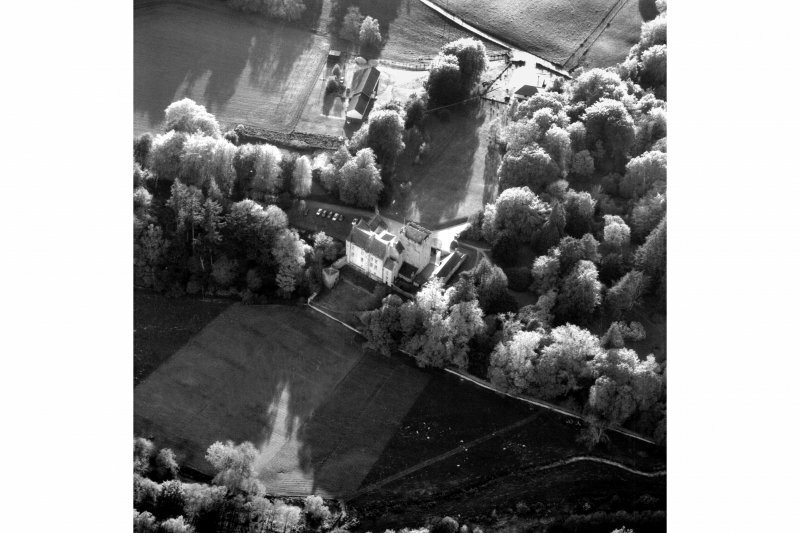 Oblique aerial view of Kilravock Castle, looking NE. 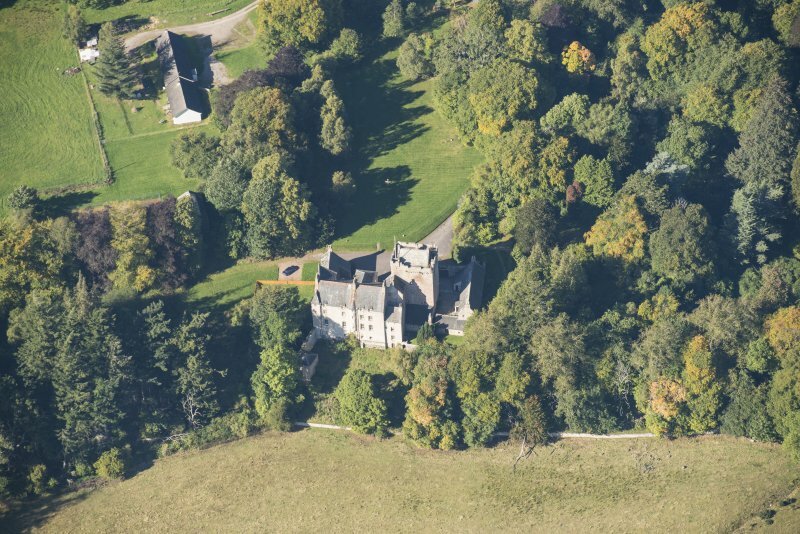 Kilravock Castle. General view from E.
Kilravock Castle. 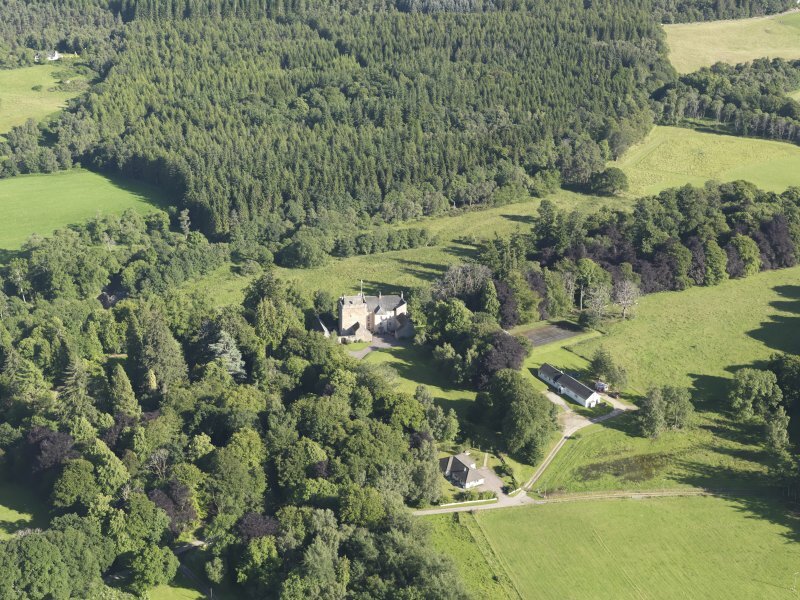 General view from W.
Oblique aerial view of Kilravock Castle and dovecot, taken from the NE. 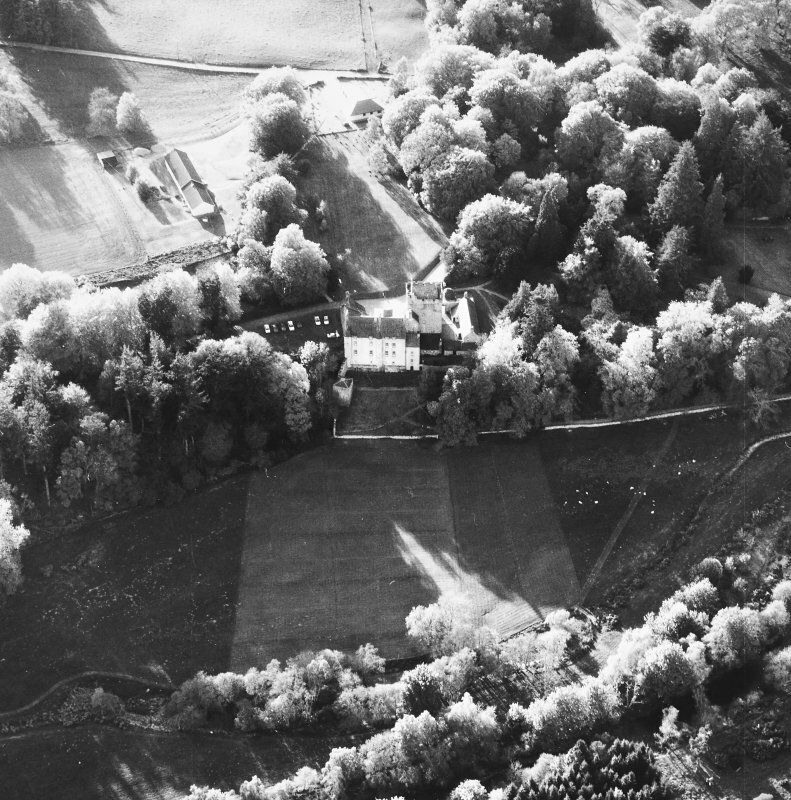 Oblique aerial view of Kilravock Castle, looking WSW. 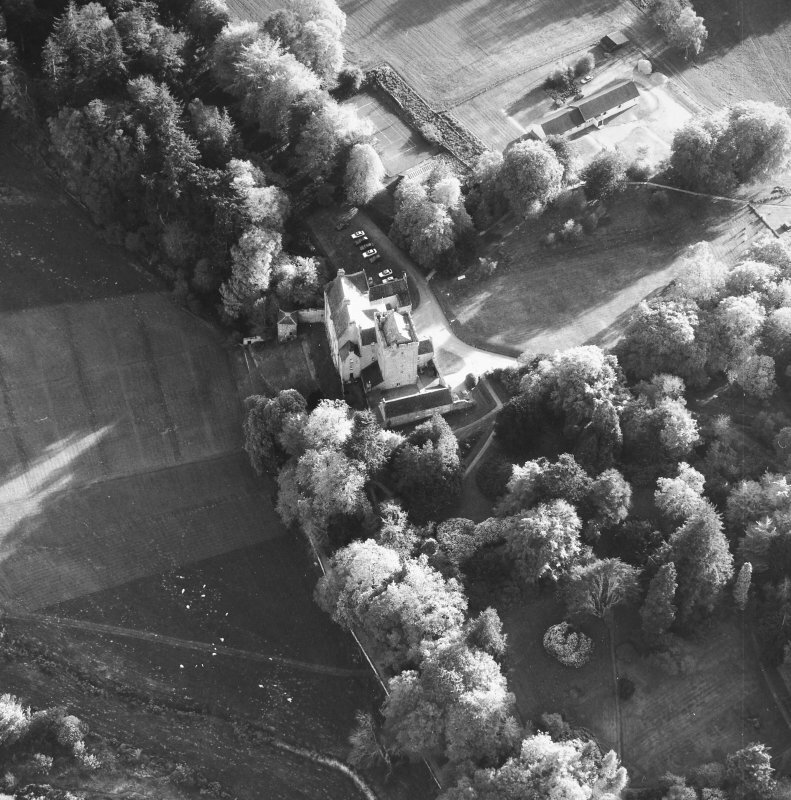 Oblique aerial view of Kilravock Castle and Dovecot, looking S.
Oblique aerial view of Kilravock Castle and Dovecot, looking SW.
Kilravock Castle. 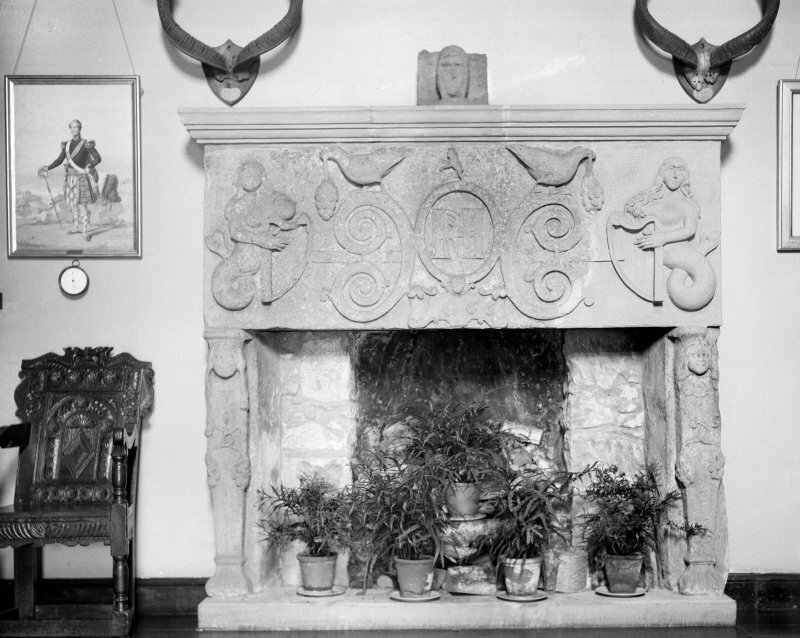 Reconstructed fireplace in front hall and finial, perhaps from tomb effigy. 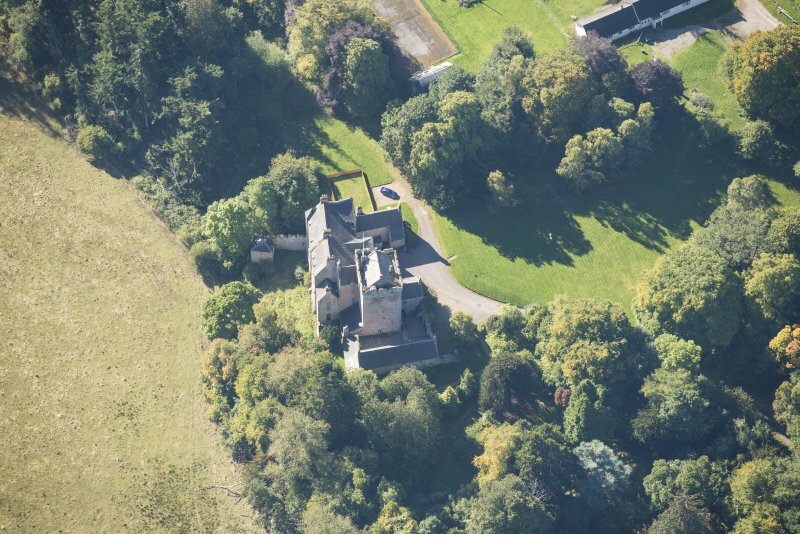 Oblique aerial view of Kilravock Castle and dovecot, taken from the SSE. 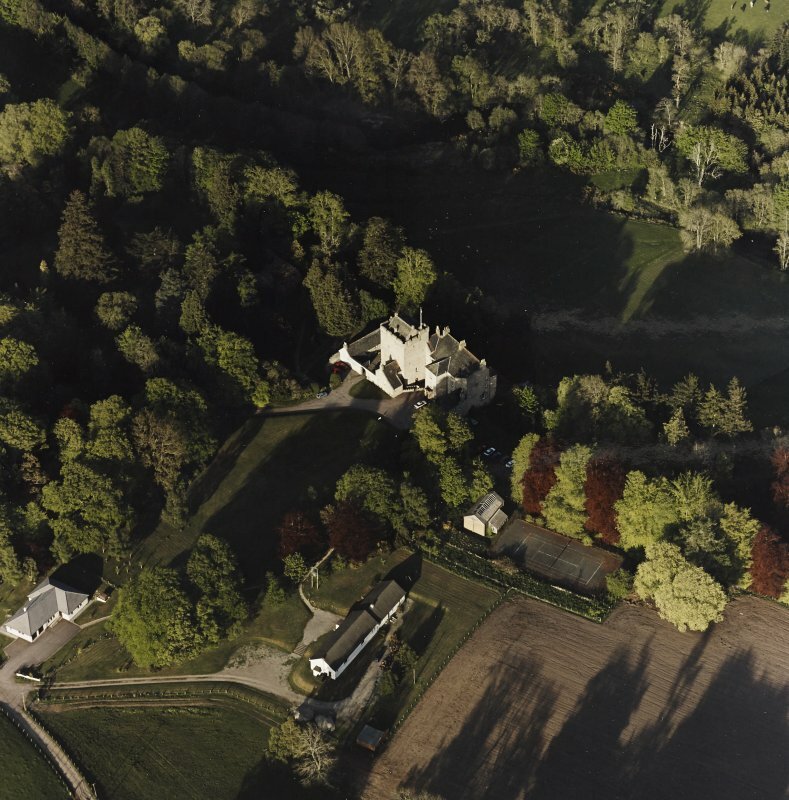 Oblique aerial view of Kilravock Castle and dovecot, taken from the ESE. Kilravock Castle. 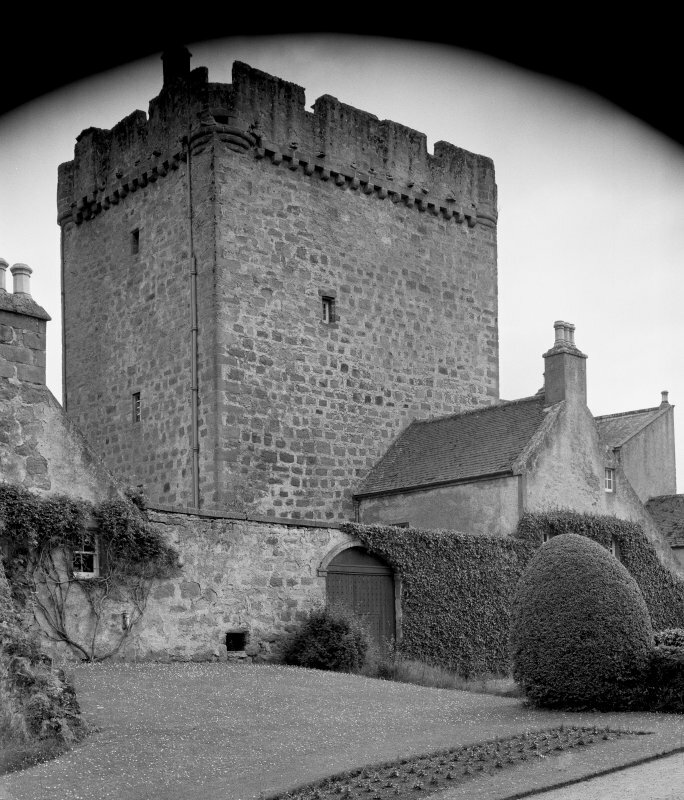 Tower from N.
Kilravock Castle originally consisted of a quadrilateral keep 39ft by 31ft Licence to build was granted in 1460 and confirmed in 1475. The keep, though it has 14th century and 15th century characteristics is probably of the latter date. 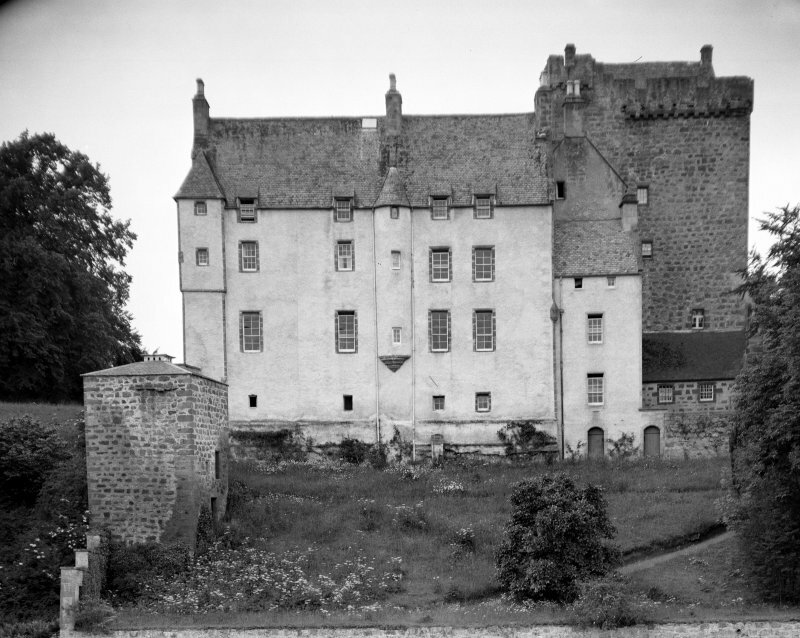 In the 17th century the keep was enlarged into a castle by the unusual manner of adding a square stair-case to the SW angle and a large rectangular building, attached to that, in order to form the south front of a quadrangle. In more recent times, omitted in plan, other buildings have been added to the north of the main base and a wing has been extended along the west of the quadrangle. D MacGibbon and T Ross 1887-92; ISSFC 1926. The castle is generally as described above, and is still occupied. 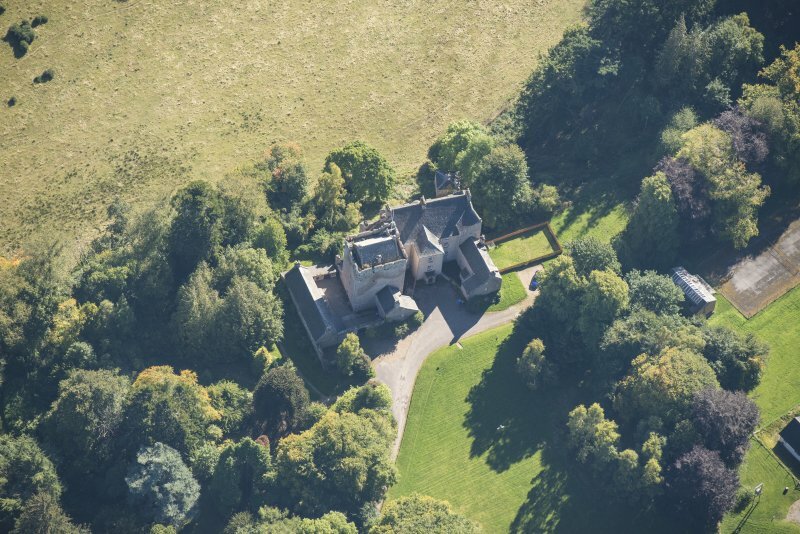 Mrs Rose (Kilravock Castle, Croy, Nairnshire), the owner believes that the keep was built in the 15th century with later 16th and 17th century additions (second phase) but all records have been destroyed. Visited by OS (NKB) 11 August 1964. Account from John Baillie for wright work at Kilravock House. It includes sash window for the New Front, roofing and sarking of the new passage and staircase, and amounts to ?51.5.6. 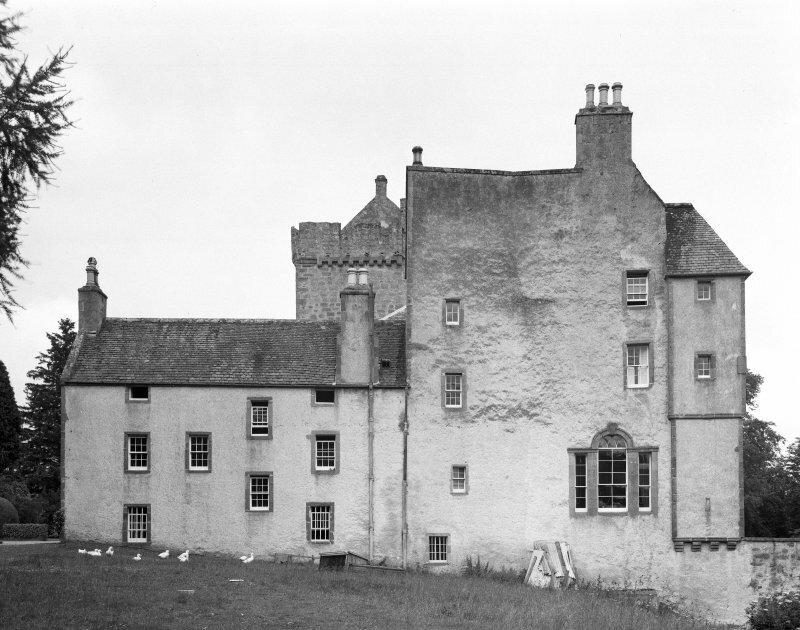 Photographic survey of Kilravock Castle, Nairnshire, by the Scottish National Buildings Record/Ministry of Works in August 1957. 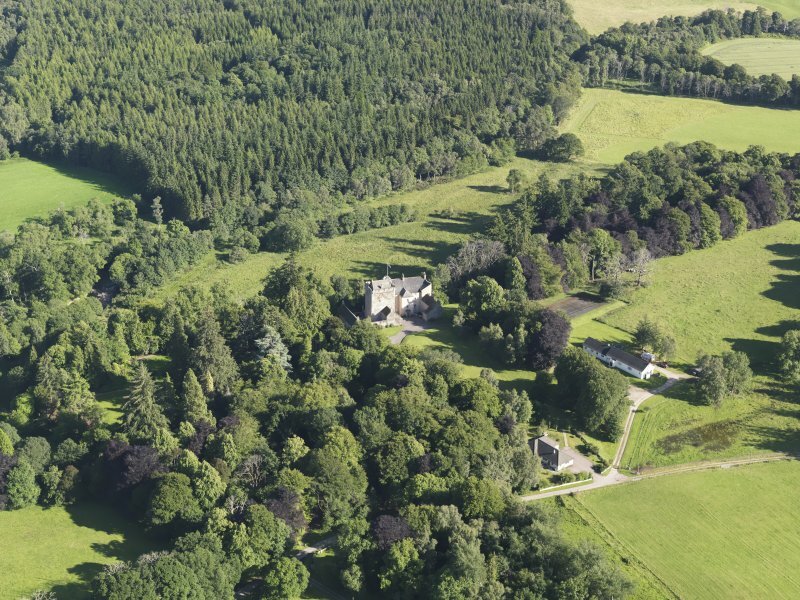 The early tower dominates the later, more domestic additions to this attractive castle, which stands on the edge of a cliff above the River Nairn. 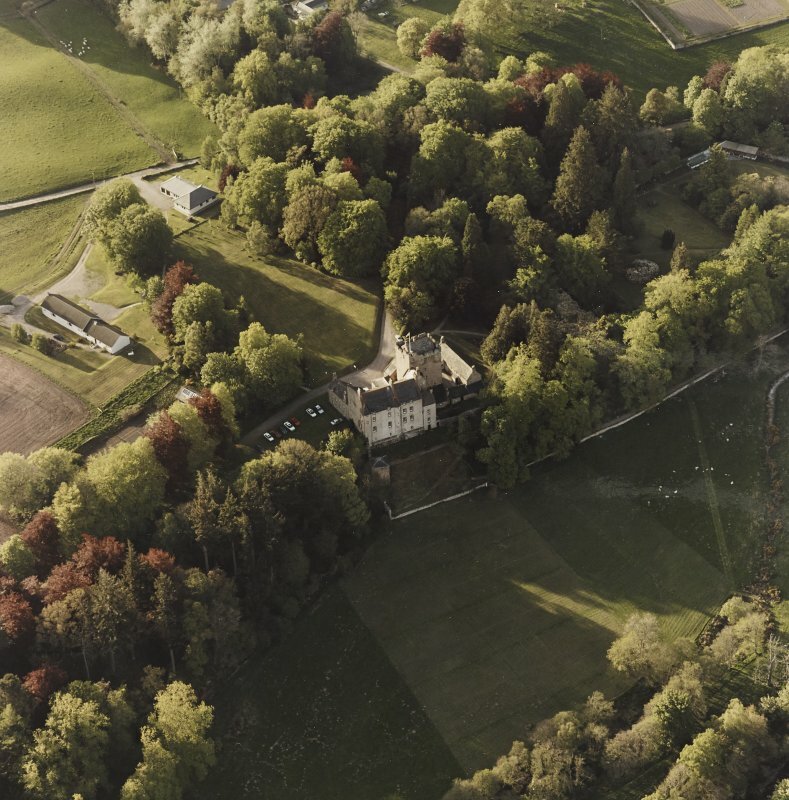 The lands of Kilravock have belonged to the Rose family since the 13th century, and the family still live here. Hugh Rose received a licence to build 'a tour of fens' from the Lord of the Isles, then also Earl of Ross, in 1460. This 'defensive tower' has a corbelled wall walk, open turrets called bartizans at the co rners (similar open bartians at Cawdor (no. 48) were given conical roofs in the 17th century), and a gabled attic roof. Inside the tower a wheel stair in the wall gives access to single rooms on four floors and to the wall walk. The first-floor hall has its old wooden beamed ceiling, blackened by smoke or fire. 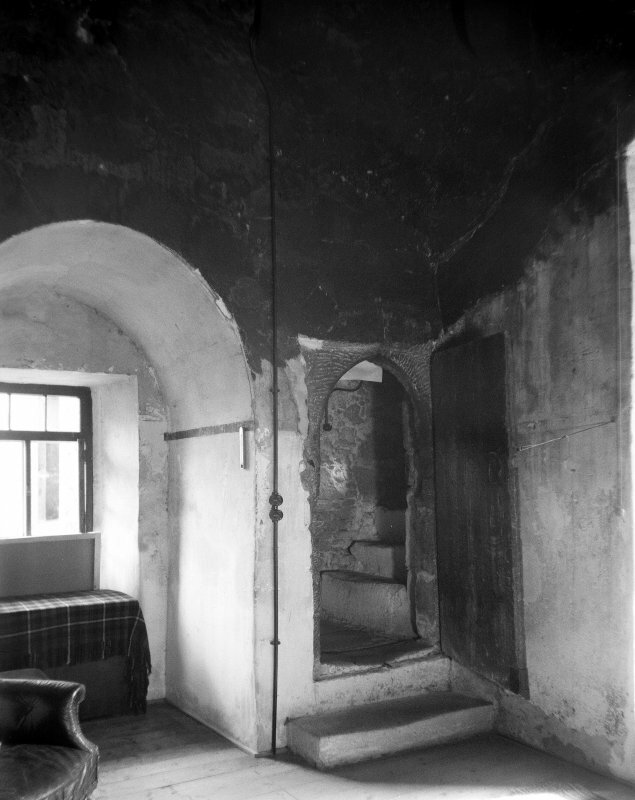 A chimney lintel carved in 1666 for the wedding of Hugh Rose and Margaret Innes has been moved from this room to the entrance hall, and replaced by a modern fireplace. The upper room has the usual vaulted roof. In the 17th century a large domestic wing was added to the tower, linked by a square stair tower. Its harled walls contrast with the bare stone of the old tower. The passage and storerooms on the ground floor are all vaulted, with the main rooms on the floor above. Here two turrets for spiral stairs are corbelled out giving extra access to the rooms above. Four dormer windows break the line of the high pitched roof. On the north side of the castle two service wings of varying height and later date form a small entrance court. Much of the interior was remodelled in the later 18th century. The present drawing-room now has a corniced and coved ceiling, a Venetian window in the end wall, and an Adam style chimneypiece. There is an 18th century staircase with carved balusters, and the castle is furnished with family furniture and pictures. Below the castle on the river side is a small 15th/16th-century corner tower with a later stoneseated privy in the ground floor chamber and a dovecot above, accessible only by ladder. Around the castle are woodland, a tree garden and nature trails.